Janice Odell serves as a lecturer for the Orfalea College of Business. She is a Certified Public Accountant (CPA) and holds an MBA. A Cal Poly alumna (B.A. 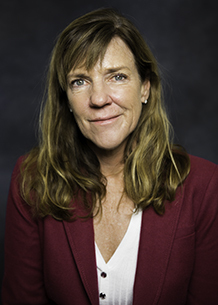 International Management, MBA), Odell began her career as an auditor with Deloitte where she obtained her CPA license and spent the following 25 years in Silicon Valley. While there, she served as chief financial officer at several technology companies from initial start up to profitable international operations. She returned to San Luis Obispo County five years ago, most recently CFO for IQMS a software developer and Chemlogics, a chemical company recently sold for $1.3 billion to a large international public company. While working for venture backed companies in Silicon Valley, Odell managed the financial aspects of business plans including complex financial projections and models and assisted in raising many rounds of venture or debt financing. She has extensive experience in financial management, infrastructure planning and implementation, integration with operating groups, systems implementations, issues and complex rules respecting revenue recognition, consolidations and foreign exchange. She also implemented several stock option plans and various compensation structures, developed new hire and annual performance evaluation processes. Working at international companies, Odell managed consolidation and intercompany processes and established finance and accounting and finance functions for newly formed operations in Australia, Singapore, Taiwan, Europe and Canada. In addition to mentoring business students in Orfalea’s Executive Partner Program, she also serves as an advisory board member to a start-up company in the incubator program through the Cal Poly Center for Innovation and Entrepreneurship. Odell has served on the SLO Chamber of Commerce Issues Committee and is the Treasurer of the 99’s, a club of licensed women pilots for the advancement of aviation. She and her husband are also developing the farming and cattle operations on the farm they purchased when they moved to SLO. In addition to flying, her hobbies include skiing, cycling, cooking and gardening.